Are you shopping for a floodlight? If so, you should insist on LED floodlights. Well, don’t you just hate it when you get a hefty power bill every month due to your lighting needs? Unlike old lighting options, LEDs are designed to lighten your lighting bills while providing you with high-quality illumination. Funny enough, almost everybody needs an LED Flood Light, but very few know what it really is! If you are still relying on halogens, filament bulbs, fluorescents, incandescent, HIDs or any other archaic form of lighting, it’s about time you make the switch to LED lighting. This post will help you to learn a thing or two about LED flood lights and why you need them. Or where can you use a flood light? If so, here’s a quick rundown of what you need to know. What Should You Look for When Shopping for an LED Flood Light? LED Floodlight vs Spotlight: What’s the Difference? LED floodlights are simply high-intensity lighting fixture mainly used for outdoor lighting. Well, just like floods, these lights are designed to offer uniform lighting over a large area. 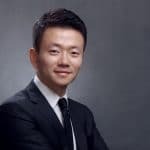 That’s why you’ll find floodlights on stadiums, streets, markets, halls, as exterior lighting fixtures on warehouses, driveways, swimming pool, parking lot, gardens and so on. LED flood lights outdoor fixtures are broad-beamed and weatherproof. And the fact that they often come with an IP65 protection rating means that they last for long. Well, if you want to get the best LED floodlight, there are a few things you need to consider. It’s a simple checklist that helps you to find a lighting fixture that fully satisfies your needs without costing more than it should. You’re probably wondering, how do I choose a good floodlight? If so, you only need to know what to look for in such fixtures to find the best out of all available options. Where and how do you plan on using the flood light? Is it in a stadium or your driveway? Different uses often come with different requirements. 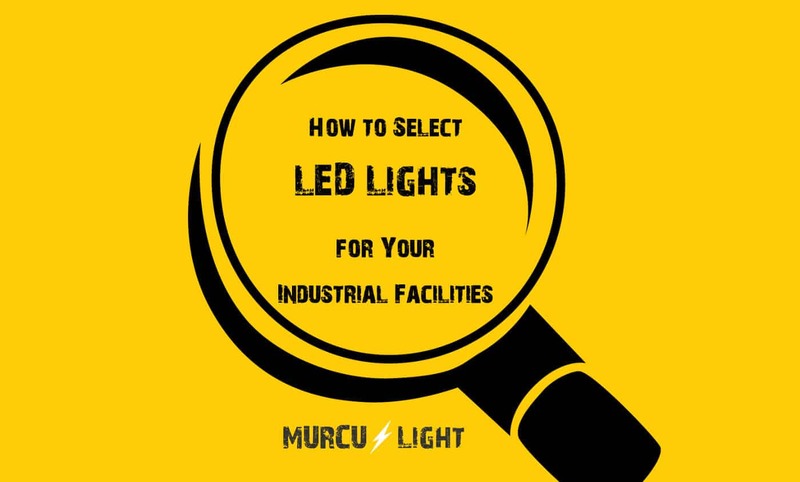 For example, when using an LED floodlight to illuminate the inside of your warehouse, the brightness needs to be enough for workers to see what they are doing. The same case applies to sports matches; for players to see tiny balls during evening matches, the must be sufficient lighting. In both scenarios mentioned above, powerful floodlights are needed. But if you are dealing with outdoor security or driveway lighting, the power needs will be lower. The LED floodlight beam angle and height will greatly affect the overall illumination provided. Generally, the light needs to be high enough to cover every inch of the space and not obstructed by anything. How would you like your flood light to switch on/off; manual or automatic? Among the many marvels of modern lighting technology are automatic switching features. Nowadays, you don’t necessarily have to be close to a switch to turn on your lighting. Motion sensor activation – Turns on the light whenever someone passes close to the fixture and off when they leave or go out of the sensor’s range. Light intensity activation – This is a “dusk till dawn” switch that turns the light on when the sun sets and off when the sun rises. Depending on your preferences or the use of the light, it will be easy for you to know which activation mode best suits you. Obviously, when buying an LED floodlight, you want one that will last for long. On average, an LED fixture used for 10 hours each day can last up to 20 years. Are you surprised? Well, there’s more. Their 50,000 to 80,000-hour lifespan is almost 8 times longer than halogens and metal halides. Therefore, as you look for the best-LED flood light, make sure you check to see its lifespan and warranty; the longer the better. How much power does the fixture need to provide ample lighting? Lighting fixtures that use less power but provide more light are deemed to be very efficient. You want a floodlight that is less expensive to run but bright enough to offer comfortable lighting. If you do a simple LED flood light vs halogen comparison, you’ll realize their difference in efficiency. Take a 100W halogen bulb that comes with a 30lm/W efficiency rating. To calculate just how much light it produces, you’ll do 30 x 100 = 3000 lumens. Now, if you get an LED flood light with a 150lm/W rating, it means that for it to produce 3000 lumens, it will only consume 20W (3000/150). Therefore, LEDs are up to 80% more efficient than halogens. 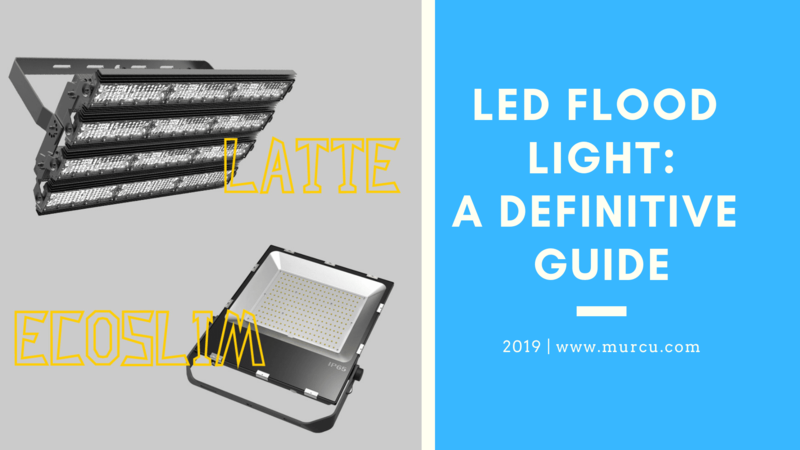 You now have a clue on how to get the best-LED flood light fixtures for your residential or commercial space. Well, be honest, you are psyched about getting one of these amazing light fixtures, aren’t you? But once you do get it, how and where should you install it? As mentioned earlier, floodlights serve a myriad of purposes. Also, they can be used indoors or outdoors. Therefore, how you install them in greatly dependent on the light’s purpose and positioning. There are a few common factors that can help you to know where and how to place your lights. Most people often say that the best place to install a floodlight is on the face of the building. Well, placing your fixture on the face of your building leaves out a few blind spots on the corners. This creates the perfect spot for an intruder to hide. To eliminate all blind spots, it’s always advisable to keep the flood light installed in one of the closest or most strategic corners of your building. That way every part of your exterior gets ample illumination. For most people, installing an LED floodlight weatherproof light fixture can seem tiresome. So, they often try to simplify the installations as much as possible. This, sometimes, means installing the light wrongly or in the wrong position. If so, you may end up getting less than what the light is designed to offer. That’s why, to get the most out of your light fixture, you have to install it close to the roof or slightly higher. This not only helps you to lessen the number of light distractions but also increases the area covered by the light beams. Also, this applies to indoor lighting. Have you ever been in a situation where your newly installed floodlight fails to work yet it came with a 5-years warranty? Well, the problem may not be that you bought a poor-quality product. Instead, it could have been damaged by your wiring and power source. So, what should you do to prevent this? Each product comes with its own input power rating (e.g. 50V, 1200mA). Therefore, you need to ensure that your power source does not exceed these rating. 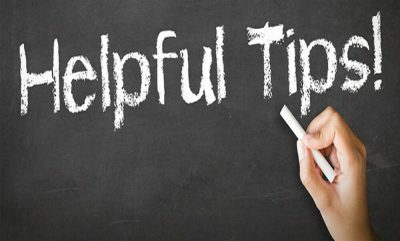 Also, faulty wiring can lead to short circuits that may extensively damage your lighting fixture. Taking care of these two factors ensure that your floodlight is safe from electrical damage. If you aren’t well versed with lighting fixtures, there’s a high chance that you’ll buy the wrong one. In most cases, people often confuse floodlights to spotlights. Such a mistake can be costly and that’s why you have to know the difference between the two. A spotlight is characterized by its narrow beam lighting; mostly 45 degrees or less. Due to their concentrated and easier to point light, spotlights are great for highlighting displays, art, landscape features, architectural details and so on. 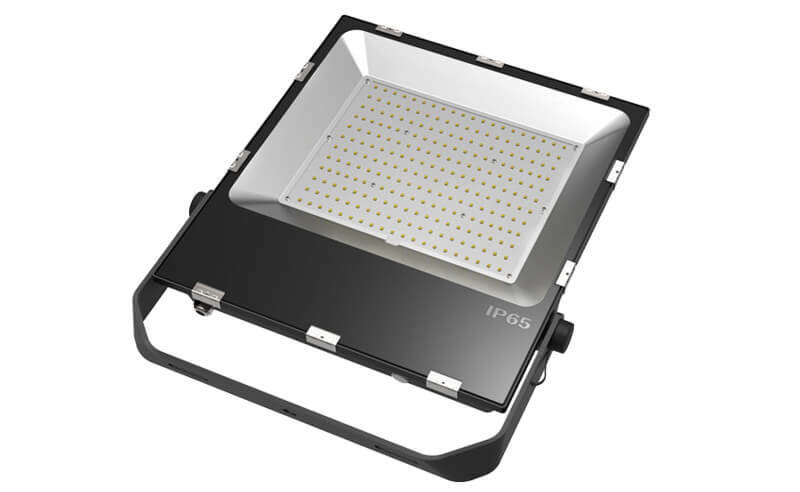 An ip65 LED flood light, on the other hand, has a wider beam angle; up to 120 degrees. This allows it to sufficiently illuminate a large area but at the same wattage and luminous intensity as a spotlight. As you can see, dealing with LED floodlights comes with tons of benefits to you. You get to enjoy better, brighter, and broad area lighting in a very efficient and low-cost way. Do you have any questions? Or would you like to contribute to this topic? If so, be sure to say something in the comments section.